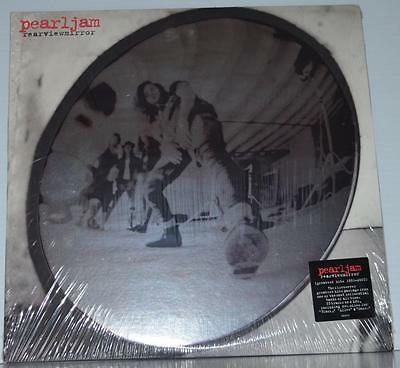 This is the very rare 2004 Epic Records USA first pressing of the pearl jam 4 LP vinyl greatest hits compilation "Rearviewmirror" in mint, factory sealed, condition! I reserve the right to end this listing at any time or to place a "Buy It Now" on any of my items to end them early for the right offer. Winning bidder agrees to pay within 3 days of the end of the listing via Pay Pal. Shipping includes USPS Media Mail within the U.S. and USPS First Class International everywhere else on the planet. Please view the photos and e-mail me with any questions before you bid. Please look at my other auctions for more items of interest! As always, all my items are guaranteed 100% authentic or your money back!